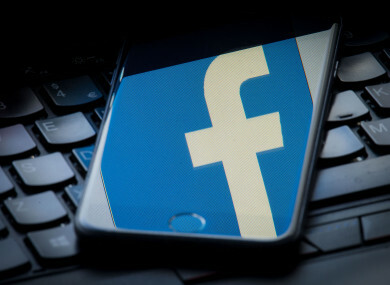 COMMUNICATIONS MINISTER DENIS Naughten has told Facebook he is “appalled and disgusted” at the company’s lack of progress in tackling offensive material. Naughten was meeting the company in New York on foot of a Dispatches documentary on Tuesday which reported that inappropriate, racist and violent content, including assaults on children and images of self-harm, all remained on Facebook despite being reported by users and reviewed by moderators. The programme included undercover footage recorded by a reporter at the company’s European headquarters in Dublin. Naughten said that the company needed a “step change” in their practices and said that reviews were “not good enough”. Officials from Naughten’s department and Facebook will meet again on Monday. Social Protection Minister Regina Doherty said Naughten’s statement after his meeting with Facebook was “exceptionally strong”. “We will not tolerate anybody making money off the back of abuse be it physical, verbal, violent or sexual – it’s just not on. We’re all parents, we all want to protect our children. The simple fact of anybody making policy decisions around business opportunities that belies their responsibilities. Regardless of what his ambitions were, his responsibilities are clear – and they are to protect vulnerable people, children and our citizens in this country and if he doesn’t do it himself then we’ll do it for him. Speaking about reports that the idea of a Digital Safety Commissioner has been shelved by this government, Doherty said this is not the case. “I don’t think it is shelved, I don’t know where that came from. What Denis [Naughten] said is that he recognised that a little more work needs to be done before we go out and advertise it,” she said. Last week, at the launch of the government’s online safety strategy, Naughten said he would work with Sinn Féin to tease out issue in their Bill which puts forward the idea of establishing a Digital Safety Commissioner. Groups such as the ISPCC said such an office is vital to ensure online safety for children. Meanwhile, Facebook says that it will publish its data on political ads taken out during this year’s referendum campaign. The company told Green Party leader Eamon Ryan that it will provide an “indicative” total of the money spent from 1 March to 25 May. “Providing data about online spending in the recent Irish abortion referendum sets an important precedent which should apply now in every future vote. “It is not that we want to ban all online political activity. Research carried out by the Transparent Referendum Initiative showed that a lot of the online adverts during the recent campaign were part of a healthy local democratic process. What we cannot accept is foreign money seeking to buy a result by subterfuge. In a letter to Ryan, Facebook said that it will also outline the number of ads rejected as foreign between 8 May and 25 May. Email “Minister tells Facebook he is 'appalled and disgusted' over harmful content”. Feedback on “Minister tells Facebook he is 'appalled and disgusted' over harmful content”.